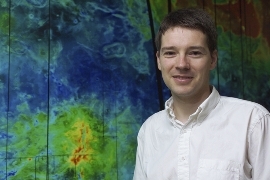 My current research centers on a powerful connection between the dynamics and geophysics of planetary bodies: by measuring orbital and spin characteristics, one can reveal crucial information about interior properties. The characterization of interior properties is a difficult task, but it is essential if we are to further our understanding of the formation and evolution of planetary bodies. 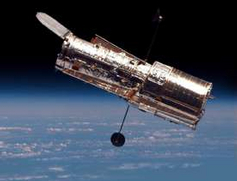 This work requires a combination of observations, theory, and modeling, but it is primarily based on the use of telescopes operating at wavelengths from visible to radio. I have implemented a new Earth-based radar technique (Green, 1962, 1968, Holin, 1988, 1992) that provides instantaneous spin state measurements with fractional precision of 1 part in 100,000. The first set of observations reveals that Mercury has a molten core (Margot et al., Science 316, 710, 2007). The state of the core at Mercury has fundamental implications for the composition, internal structure, thermal evolution, and magnetic field of the planet. Click on the image for details about the Mercury experiment. Spin state measurements can provide important insights into the properties and geophysics of Venus. Atmospheric tides and angular momentum exchange strongly affect the spin state of the solid planet, such that long-term monitoring may provide crucial constraints on the atmospheric dynamics and climate of Venus. Initial measurements indicate a change in the spin rate since the Magellan era (Margot et al., in preparation). Additional observations are planned to measure secular and seasonal variations in the rotation rate. Venus has a large wobble which could be excited by mantle convection, volcanic or seismic activity, resurfacing, or atmospheric changes. 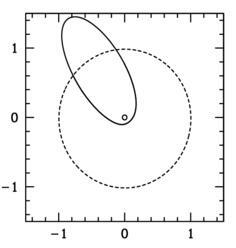 Efforts are also underway to measure the spin pole orientation, which may ultimately reveal the precession rate of the spin axis, a direct constraint on the moment of inertia of Venus (i.e. the distribution of mass inside the planet). This work is performed in collaboration with S.J. Peale, R.F. Jurgens, M.A. Slade, and I.V. Holin. Binary asteroids (two rocks orbiting each other in space) are extremely interesting systems which allow us to obtain direct measurements of asteroid masses and densities. Radar instruments can image binary asteroids that come close to the Earth and can characterize their orbital parameters in great detail. Radar images of near-Earth asteroid 2000 DP107 show that it is composed of an ~800 meter diameter primary and a ~300 meter diameter secondary revolving around their common center of mass. Since the discovery of 2000 DP107, we have found four other binary asteroids with the radar systems at Arecibo and Goldstone, 2000 UG11, 1999 KW4, 1998 ST27, and 2002 BM26. We estimate that 1 out of every 6 asteroids larger than 200 m in diameter may be binary. 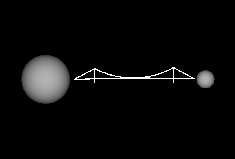 This figures shows a schematic representation of the size of the 2000 DP107 binary system, with the Golden Gate bridge for scale. Click on the image for details. The radar work is performed in collaboration with M.C. Nolan, S.J. Ostro, L.A.M. Benner, R.F. Jurgens, J.D. Giorgini, M.A. Slade, D.B. Campbell, C. Magri. 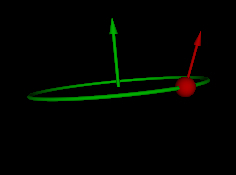 Binary asteroids also exist in the main belt of asteroids between Mars and Jupiter, although perhaps in lower proportion than in the case of near-Earth asteroids. I have been using the Keck II telescope on Mauna Kea, Hawaii and its powerful adaptive optics system to search for asteroid companions and to characterize their orbital parameters. This work involves Cornell graduate student Patrick Taylor. Part of this work was performed in collaboration with Mike Brown. Many minor planets orbit beyond the orbit of Neptune in a region aptly called the trans-Neptunian region. Those bodies are asteroids with a larger ice-rock fraction than those found closer to the sun. They are thought to be the precursor of short-period comets. Binary systems exist in that population as well, and Pluto-Charon is the most famous example. I am using the Hubble Space Telescope to characterize trans-Neptunian binaries in detail. The trans-Neptunian binaries are thought to be primordial, and their abundance and properties constrain the environment in the earliest stages of solar system history, a very important boundary condition for theories of solar system formation. Observations of trans-Neptunian binary systems provide the first measurements of the density and mechanical properties of those distant ice-rock bodies.